Why is Newport one of the best wedding destinations, you ask? Well, when you really think about it, the "City by the Sea" has everything necessary to make your special day unforgettable. One of the best reasons to have your wedding in Newport is the view. 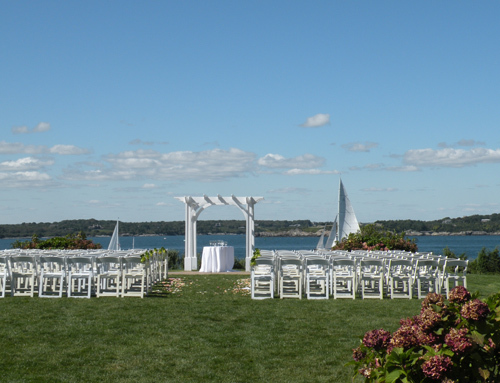 How could you not want to spend that special moment overlooking beautiful Narragansett Bay or the Atlantic Ocean? Belle Mer on Goat Island - Overlooking Narragansett Bay and the Newport Bridge. OceanCliff Resort - One of the best views and reception facilities on the island. Rosecliff mansion - The Great Gatsby and True Lies were filmed here. This is the most popular Newport mansion to hold an event. Love the beach? Have your ceremony/reception at Easton's Beach Rotunda! 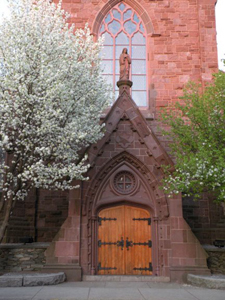 St. Mary's Church - John F. Kennedy and Jackie Bouvier were married here in 1953. 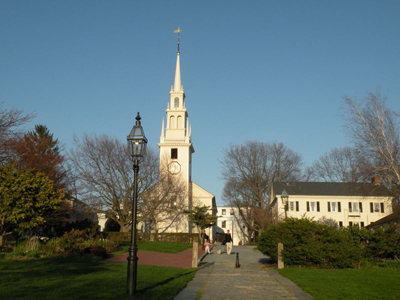 Trinity Church - In the heart of downtown Newport overlooking the bustling harborfront. Hotel Viking has been a popular place to stay for celebrities and dignitaries visiting Newport since 1926. 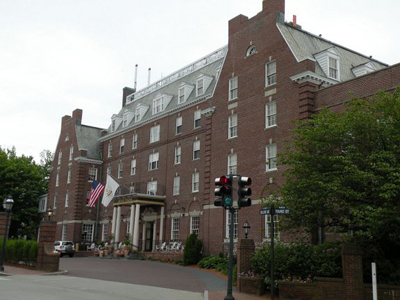 World-class accommodations, service and prime location at the start of Bellevue Avenue. 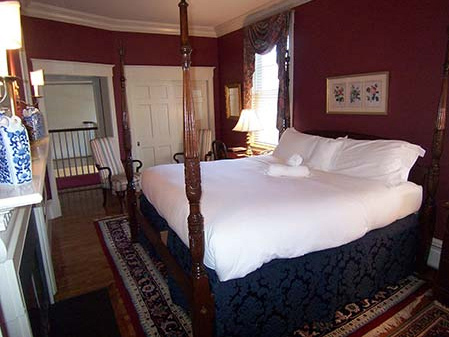 The Francis Malbone House is Newport's most luxurious bed and breakfast. It's located in the heart of downtown on historic Thames Street. 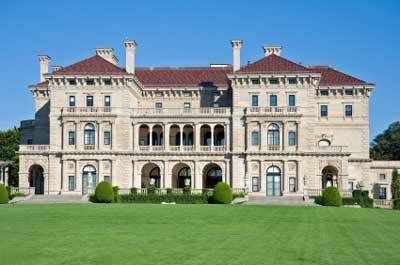 The Breakers mansion - summer home of Cornelius Vanderbilt II and Rhode Island's most popular tourist attraction. 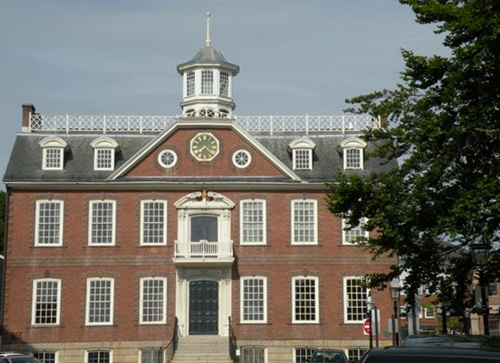 The Colony House - c. 1739 - former home of the Colonial, and later, the State Legislature of Rhode Island. Newport is known around the world for its lively bars and nightclubs, fabulous waterfront restaurants and more unique shops than you could possibly visit in a day. 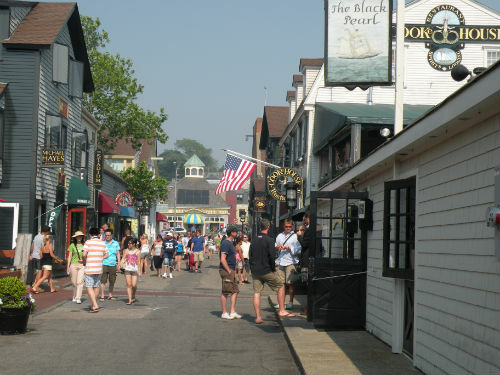 Bannister's Wharf - Home to some of Newport's best bars, restaurants and shopping. When you choose to have your wedding in Newport, not only will you have the time of your life here, but your family will thank you (they better!) for choosing such a great city to celebrate your special day. 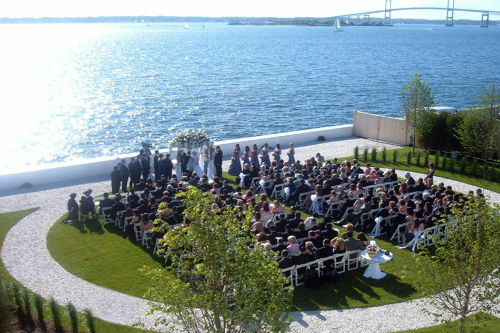 For more information that'll help you plan your Newport RI wedding, click here.